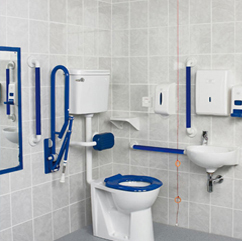 New Fully compliant doc m pack close coupled with blue rails. Ideal for commercial public facilities and businesses. New Fully compliant doc m pack low level with blue rails. Ideal for commercial public facilities and businesses.